The United States Sports Academy recently welcomed doctoral teaching assistants Alex Hoffmann, Wanyi Tang and Jason J. Williams to campus. 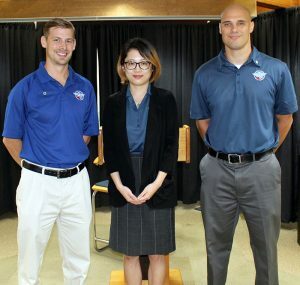 DAPHNE, Ala. – The United States Sports Academy recently selected Alex Hoffman, Wanyi Tang, and Jason J. Williams to participate in its three-year residential doctoral program as doctoral teaching assistants on campus. The new doctoral teaching assistants at the Academy will join the current resident doctoral students on campus.  All students who have been accepted into the Academy’s Doctor of Education in Sports Management program may attend these residential classes. 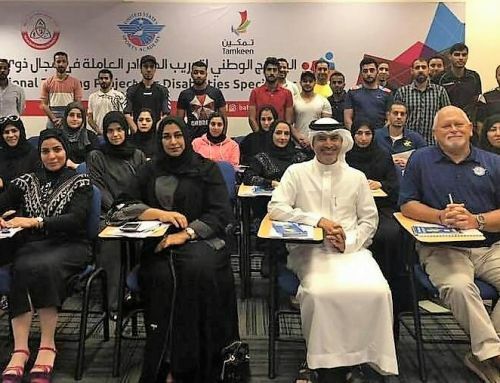 The Academy offers residential courses each semester that are on the Program of Study for the Doctor of Education in Sports Management degree. The courses are offered on Tuesday and Thursday nights from 6- 9 p.m. each week for 16 weeks. Classes are offered in the fall, spring and summer semesters. Those interested in enrolling in exciting residential courses and sharing ideas with other students who love sports can visit the Academy’s website at ussa.edu, email the registrar at registrar@ussa.edu, or call at 251-626-3303 and ask for the Registrar. Hoffmann, a native of Guttenberg, Iowa, and an Encitas, Calif., resident, holds a bachelor’s degree in Exercise Science from Central College and a master’s degree in kinesiology from California State University, Fullerton. He is also a Certified Strength and Conditioning Specialist (CSCS) through the National Strength and Conditioning Association (NSCA). Hoffmann has extensive experience working as a strength and conditioning coach and sports nutritionist for professional and collegiate athletes. Most recently, he served as an adjunct instructor for the International Sports Sciences Association (ISSA) College of Exercise Science. Prior to his position with the ISSA, Hoffmann worked as a master fitness trainer course instructor for the United States Army. Tang, a native of Beijing, China, earned a bachelor’s degree from the Beijing Language and Culture University, where she also participated in the university’s exchange study program at Kristianland University in Sweden, and a master’s degree in translation and interpreting (Chinese-English) from the University of Westminster. Prior to joining the Academy, Tang was a teaching assistant and lecturer at the School of Foreign Languages at the Central University of Finance and Economics in Beijing, where she taught undergraduate courses on intensive reading, listening and speaking and cross-cultural communication. She was previously a liaison officer for the Aircraft Owners and Pilots Association of China. She has also worked with organizations such as the Federation of University of Sport of China, the International Mind Sports Association and Chinago, a sports management company that runs the biggest amateur football community platform in China. Williams, a Foley, Ala., native holds a bachelor’s degree in marketing from the University of Idaho and dual master’s degrees in business administration and sports business management from the University of Central Florida. He is also certified by Precision Nutrition, Functional Movement Systems and NSCA, as well as being certified as a performance specialist by EXOS. Williams is also the owner of Williams Sports and Fitness in Foley, Ala. and has been an academic advisor at Columbia Southern University and a realtor with Meyer Real Estate in Orange Beach, Ala. Williams has also worked as an account executive for the New Orleans Hornets basketball team. The United States Sports Academy is an independent, non-profit, accredited, special mission Sports University created to serve the nation and world with programs in instruction, research, and service. 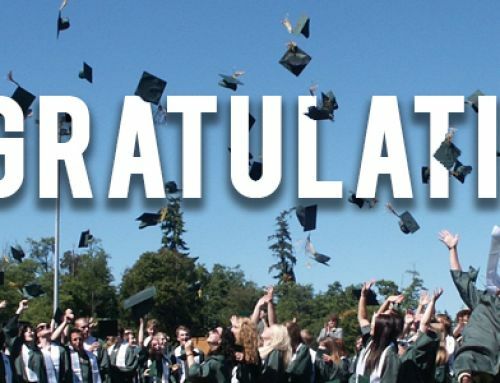 The role of the Academy is to prepare men and women for careers in the profession of sports. For more information about the Academy, call (251) 626-3303 or visit www.ussa.edu.